After sixteen years of regularly covering the topic of alternate histories–sometimes rapidly changing alternate histories–I’m delighted to see some specific cases of reality shifts and quantum jumps being so widely reported that some bigger media channels are taking notice recently. 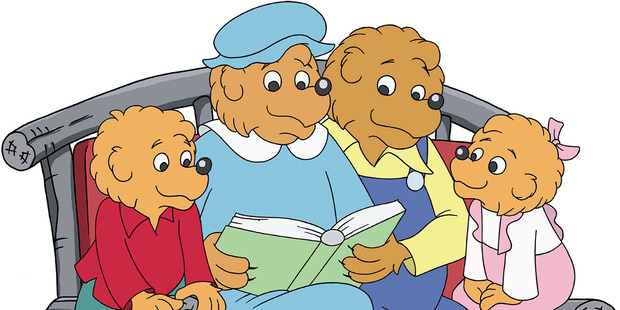 While realityshifters like me are conservatively reporting at least one rather noticeable reality shift or quantum jump every day, many newcomers to this phenomena are viewing this subject with astonishment mixed with understandable incredulity as they discuss the “Mandela effect” or the “Berenstain Bears” controversy. For newcomers to the world of reality shifts, typically only one thing is currently being noticed as having mysteriously changed–so naturally their focus of attention is on the what, when, where, how, and why of that particular shift. The Mandela Effect has gained similar traction recently, being reported this past month in the Corsicana Daily Sun, CKNW News Talk, and The Globe and Mail. 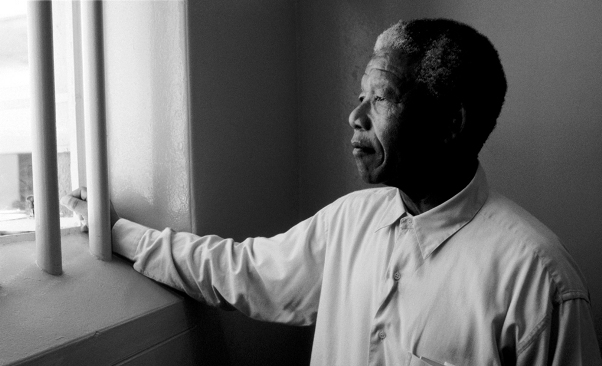 I first wrote about having remembered Nelson Mandela passing away while incarcerated in my blog and the August 2013 issue of RealityShifters. Over the past couple of years, increasing numbers of people have remembered that they, too, have memories of Mandela dying years earlier than his more recent passing. 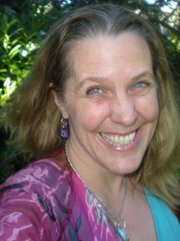 There was so much interest in this so-called “Mandela Effect,” which is part of what RealityShifters has been calling the “Alive Again” phenomenon since May 2004, that Reddit readers talked about it recently, and that Fiona Broome created her Mandela Effect website in 2011. While I’ve not yet seen such widespread reports of America’s Thanksgiving Third Thursday switch from the third to the fourth Thursday of November, I’m sure that’s just a matter of time. Over the past two years, I’ve been receiving increasing numbers of reports from people who do remember that American Thanksgiving “always” fell on the third Thursday of November. I published the first such report in the November 2013 RealityShifters, with follow-up confirmation from others with similar memories in the January 2015 RealityShifters, the February 2015 RealityShifters, and the May 2015 RealityShifters. Clearly, there’s some kind of momentum for remembering alternate histories, as increasing numbers of people are agreeing that they, too, remember things differently than supposedly have “always been true.” As one of the many people who remember Thanksgiving being on the third Thursday of each month, I can assure you I never would have scheduled International Aura Awareness Day to fall on Thanksgiving weekend. Which is why I’m quite certain that I’ve experienced a change in the past few years, despite there being no current historical record that such a change has occurred. The perspective on such topics as these for realityshifters like me is naturally more accepting and relaxed, due to the steady flow of such “unusual” happenings in our everyday lives. For example, as I sip my morning cup of coffee today, I read today’s New York Times article about Oliver Sacks having passed away, I recognize this “news” story as one I read rather recently, just a week or two ago. In fact, it is so familiar that the photo of Robin Williams with Robert De Niro in Williams’ role playing a character based on Sacks in the movie “Awakenings” is the exact same one I saw very recently. I double-check the date of Oliver Sacks’ death, and see that as of today, he’s supposedly passed away today, Sunday, August 30th. I confirm this date by running a quick search engine check, to make sure it wasn’t really a couple of weeks ago, and all sources agree on today–Sunday, August 30th. Because I’ve already read a nearly identical version of this obituary, I am able to skim it quickly today, which I’m happy to find provides me with a bit more time to work on writing this blog post that I wouldn’t otherwise have. As amazing as one might expect it should be to me for me to see an obituary run for a second time in the New York Times as if it’s fresh news all over again, such experiences with repeating events are really nothing new for me. I now realize that seeing New York Times front page obituary news more than once is similar to my having tired of overplayed songs on the radio in the 1970s as a youth, only to hear radio announcers gleefully announce the exciting world debut of those songs as “being played for the first time.” While I dismissed such things as somebody’s confusion in my youth, I’ve now become consciously aware of regularly occurring alternate histories, so surfing through them is a natural part of my life. There are times when being a realityshifter is truly a delight. Rather than accepting a given situation as fixed or unchangeable, I am keenly aware of just how flexible reality can be. During a walk one evening with a friend along a city sidewalk, I noticed upon reaching my car that one of my gold earrings was no longer on my ear. These earrings have special sentimental value to me, since I received them as a gift from my parents, and they’re pretty, too. I asked my friend to continue on without me, so I would have time to retrace my steps and see if I could find the earring on the sidewalk or street. I entered a state of relaxed, energized, loving awareness, as I walked back and forth along the several blocks of sidewalk and street. I imagined our recently deceased family dog was walking with me, since he always helped me find things–often by helping me visualize where they were. I’d told my friend and colleague, Dr. Beverly Rubik, about our dog’s death earlier that same day at lunch, and she’d told me how she’d heard bells playing when she buried her beloved pet dog–though strangely, there were no bells nearby. Though I’d not heard bells when burying our family dog, realized I was now hearing the sound of the UC Berkeley Sather Tower campanile bells playing a beautiful tune! I felt tremendous love in my heart for my dog, for the campanile music, and for being alive. I checked my hair and clothes one more time, hoping that perhaps my earring never hit the ground. I sensed a question posed to me, “Where would you like to find it?” My telepathic reply to this silent question was simply “Somewhere safe.” I’d much rather find it in good shape, rather than flattened by a 3,000 pound car driving by. I realized after retracing my steps for a second meticulous time, that as much as I adore my earring, I was willing to accept not being able to find it for the time being. So, for a few hours I ignored my missing earring and went to the Foundations of Mind conference reception party, visited with friends, and finally returned home. And that’s when, to my great surprise and delight, tucked deep down inside my clothes in a place that makes no sense for it to be–and certainly not without my having felt it and been annoyed by its presence–was my missing earring, in perfect condition, completely safe! So what’s going on? Occam’s Razor invites us to avoid over-complicating explanations of what’s going on. William of Ockham’s words on this matter were, “Pluralitas non est ponenda sine neccesitate,” which translates to “entities should not be multiplied unnecessarily.” Curiously, or perhaps appropriately for our topic, much controversy occurs when scholars attempt to provide proper attribution for this quote, as noted in this article called “The Myth of Ockham’s Razor,” at the Logic Museum. In complete harmony with the fact that it appears there might currently be no physical evidence of any kind to support that William of Ockham is the true origination of the idea behind Occam’s Razor, the arrival of a fresh understanding of Quantum Logic in time to provide a framework for new Quantum Computers provides us valuable insights regarding our mistaken long-standing presumption that Classical, Boolean Logic is all that deductive logic is about. Obviously, this is not the case, as I summarized in my most recent blog post, Different Memories are to be Expected in the Quantum Age. Reality as found in Nature, like consciousness itself, has a wild, unpredictable, untamed, nonlinear quality to it. The reality I’ve seen and come to know and love has occasionally changing “facts,” such as whether or not American Thanksgiving has always fallen on the fourth Thursday of November, Nelson Mandela died in prison, the Berenstain Bears were once known as Berenstein, or William of Ockham really was the first person to popularize the notion of “Pluralitas non est ponenda sine neccesitate” in the Middle Ages. In Quantum Logic, both the past and the future can change, and often do. It’s up to us to bring conscious attention and awareness to what truly matters most to us. This is the foundation for the paper I presented this month at Foundations of Mind: A Dialogue of World Views, at UC Berkeley. The title of my paper is, “Quantum Logic is Primary in the Natural World.” It will be published along with other papers presented at the conference in the coming year. Have you noticed how things often aren’t the way you remember them? Or that your memories are sometimes quite different from your family and friends? Different memories are to be expected in the Quantum Age. Facts do not always stay fixed, and we will increasingly recognize changes in the way we remember the past that differ from previous memories. Noticing differences in the way we remember previous events is an intrinsic part of the true nature of reality. I write about the way our memories can be observed to change in our own lives, and in relationship to friends and family in my book, “Quantum Jumps,” where I write about “flashbulb” memories, and the way we can observe shifts in reality in which people don’t agree on what happened, since they recall different pasts. We’re living in an extraordinary time, as quantum technology brings humanity to the brink of entering the Quantum Age. At this juncture, some surprises are in store for everyone, as we finally begin to acknowledge that Boolean logic is seen to be a subset and special case of quantum logic. Quantum logic is necessary in order that quantum computers can be programmed, just as Boolean logic sprang into being in 1847 in conjunction with Charles Babbage developing the first programmable device with his Babbage computer–which was the forerunner of all of today’s classical computers. George Boole’s Boolean logic had not really been necessary prior to the advent of classical computers, but in the 1800s we suddenly did have a need for a kind of logic that could be relied upon to get consistent answers to problems. We take for granted that rational thinking is equivalent with Boolean logic, yet Boolean logic is certainly not the only kind of logic that exists. It is a relatively straightforward logic in which decision trees can be easily understood in terms of Boolean logic gates, making it perfect to be at the heart of the classical digital revolution in the Information Age. Quantum logic is required in order for computer programmers and developers to get their minds around quantum logic gates as the rush is on to develop the first true quantum computers. Quantum logic is generally recognized as being a more encompassing type of logic than Boolean logic, which is widely viewed as being a special case of quantum logic. What this means for our conceptualization of what is “logical” and “rational” is that a whole new kind of worldview is about to come into global prominence. Many assumptions that seem logical and rational according to Boolean logic are far too limited for quantum logic–and that includes assumptions that we only need pay attention to material things, that nonlocal effects can be ignored, that there is such a thing as an objective and uninvolved observer, and that we can have precise answers to problems. Quantum logic overturns all these assumptions completely–and also adds the exciting development of two-way logic gates through time. What we end up with is a completely new kind of logic that is far from what Spock often referred to on Star Trek! In fact, quantum logic has a lot more to do with synchronicity, a term psychologist Carl Jung coined to signify “the simultaneous occurrence of two meaningful but not causally connected events,” or as “a coincidence in time of two or more casually unrelated events which have the same or similar meaning… equal in rank to a causality as a principle of explanation.” While Spock would most likely have called synchronicity “illogical,” it may turn out to be totally logical when viewed from a perspective of quantum logic. Synchronicity is the occurrence of a physical event in the world near the same time it is being discussed or thought about, and the essence of synchronicity is felt, as there is often significance and meaning associated with it. Quantum logic will most likely begin to show us how this kind of interplay between levels of consciousness can be revealed through coincidences in “internal” thought and “external” action as we play with our sense of identity based on who “we” think we really are. Another one of the more surprising aspects of quantum logic is that it shows us that we cannot ever fully know all “facts,” since some necessarily remain in a kind of blurry possibility field. When we combine that uncertainty with the way that quantum logic gates are two-ways through time, we start to see a quantum “mechanism” by which the future can and does influence the past. “Facts” are therefore not entirely fixed, and only awareness–consciousness–remains eternal.